An abattoir approached Pump & Valve with a significant issue – their existing air diaphragm pump that pumped away the blood from the slaughter floor was blocking constantly. Blockages up to 1 – 2 times per day were not uncommon and the cause of the blockages ranged from toe nails, hooves, wool, skin, ear tags, vitamin and mineral capsules and strapping and pretty much anything else that can fit down a drain! And every time the solids would block up around the valves balls. Pump &Valve sold a Wilden Brahma pump with its unique flap valve arrangement. 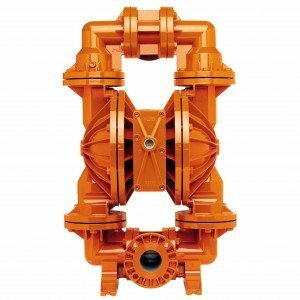 The flap valve arrangement allows large and stringy solids to flow straight through the pump – in fact a 2” Wilden Brahma pump will pass a 2” sold and a 3” Wilden Brahma pump will pass a 3” solid. The pump has been in for over 9 months and has yet to block. We think that’s not a bad improvement from 1 – 2 times per day!